Checking out a city’s local street art or design festivals is always a must. Hi there! 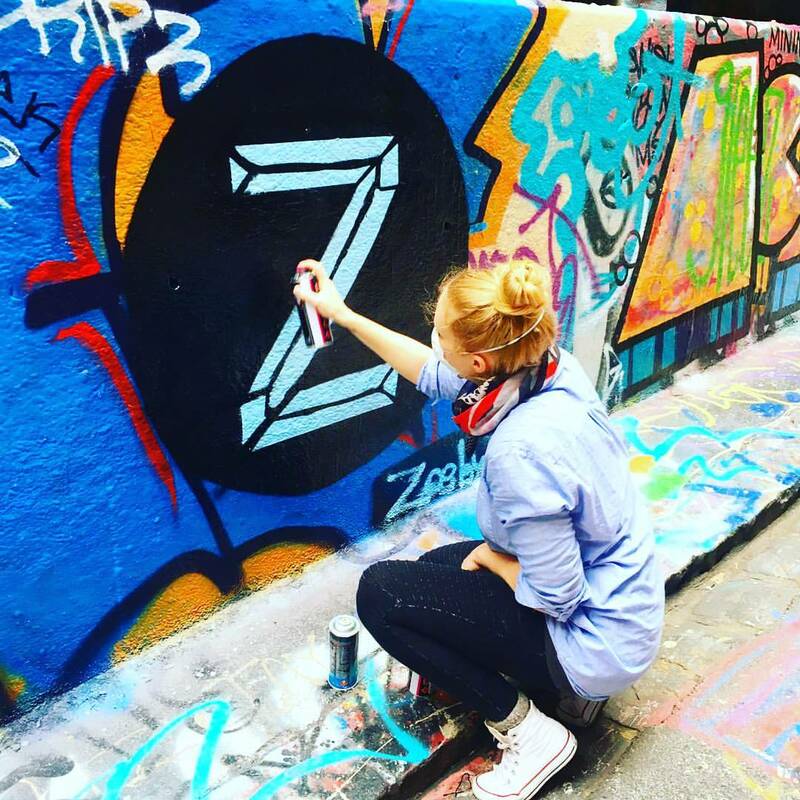 I’m Zoë, a London based Graphic Designer in Print and Digital. I’ve worked in Melbourne, Auckland and am currently back in London. Hitting the ground running is what I do. Freelancing in advertising agencies, corporate & charity sectors, I’m an experienced designer working across print & digital. With a meticulous eye for detail, I offer creative solutions with quality assurance alongside a good sense of humour. Design is my job as well as my passion so in my spare time you’ll find me trying out anything to do with type + lettering. Disclaimer: I may be a bit of a type geek, one of my favourite books being Stop Stealing Sheep & Find Out How Type Works, co-written by one of my favourite typographers, Erik Spiekermann. The logical part of my brain means I still like to code in HTML and CSS, where there’s a right or wrong answer. It also comes in handy when I’m tweaking my website or handling client e-newsletters. No matter the country I find myself working in, I like to keep on top of trends, attending workshops where available and practicing at home, watching tutorials, working on mini-projects in my downtime.